Expired 1y ago . Last validated 1y ago . Used 9 times. 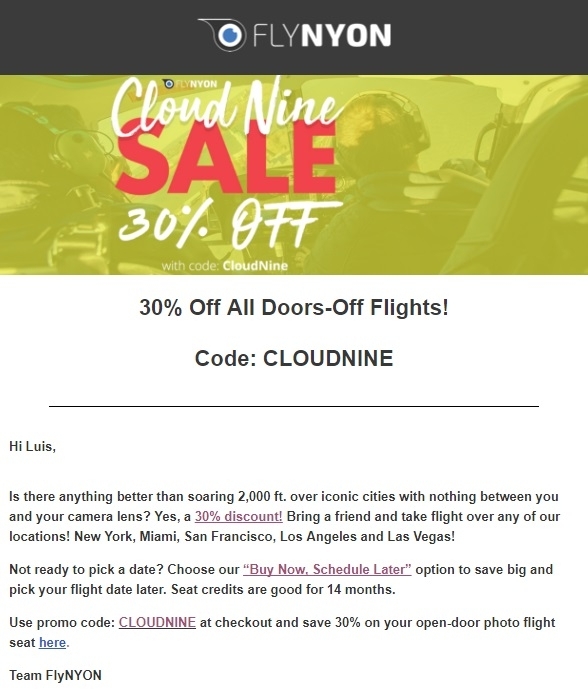 Ibraim P. Simply get into the link below, place a new order, add to the shopping cart the item(s) that you want to buy, apply the promo code during checkout and Get 30% Off All Doors-Off Flights today. Offer expires soon. Hurry up. Some exclusions may apply. See screenshot for more details.